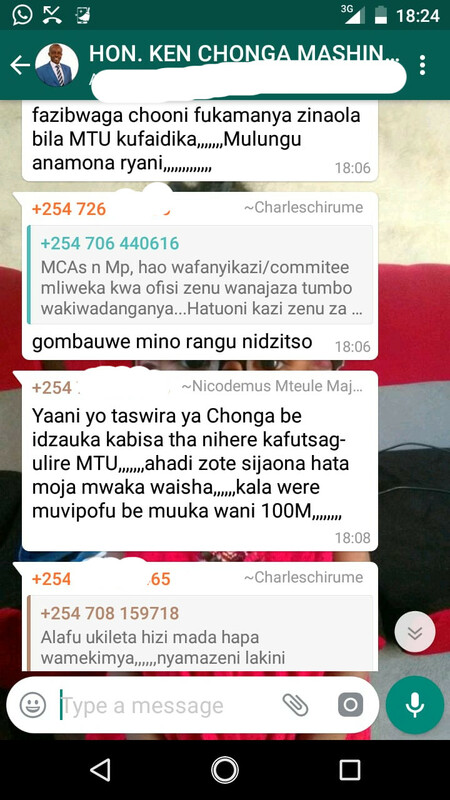 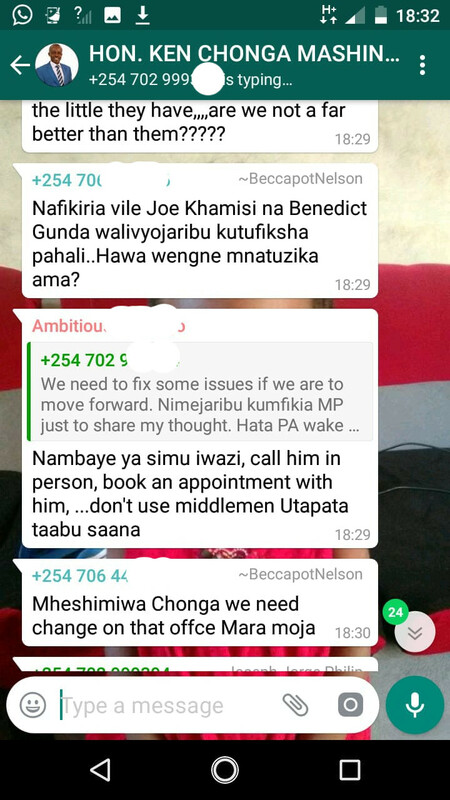 Kilifi South Mp Ken Chonga WhatsApp messages leaked showing his constituency failures - Bana Kenya News, Real African Network Tubanane. 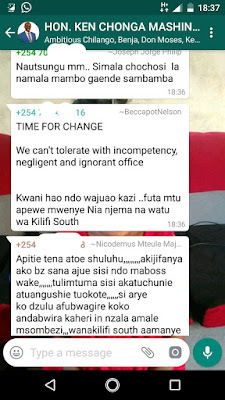 Kilifi south MP Richard Ken Chonga has been allegedly leaving his constituents in the dark over allegations that his office has ruined the constituency. The constituents are looking for means to kick out their legislature as claimed by one of his inner circle. 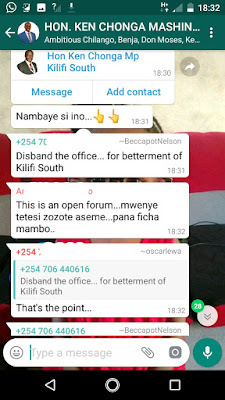 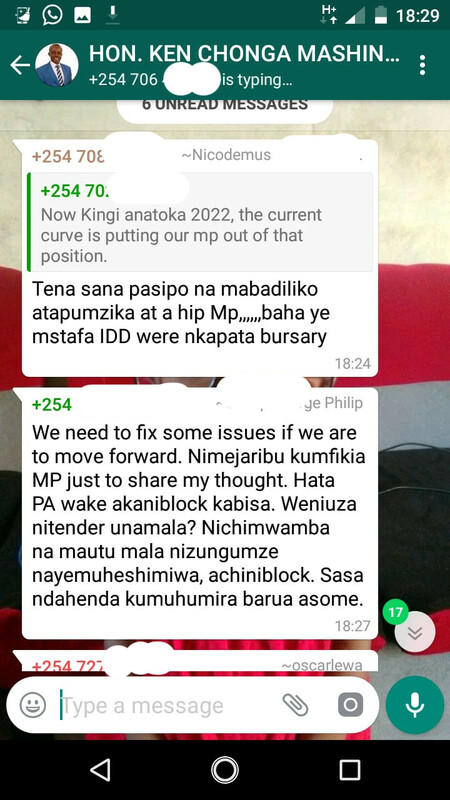 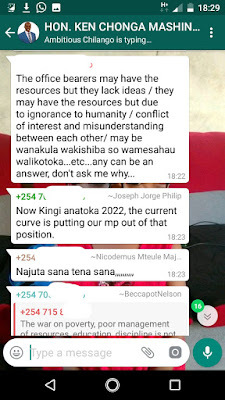 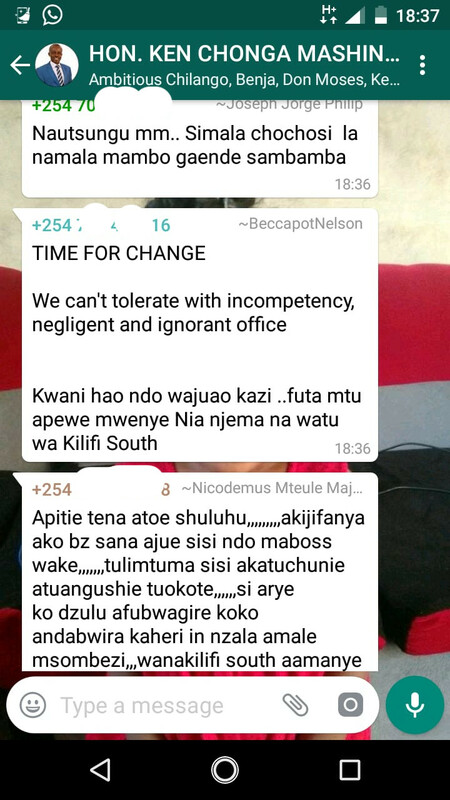 WhatsApp messages leaked from his WhatsApp group for Kilifi south claiming that he has sidelined his people. 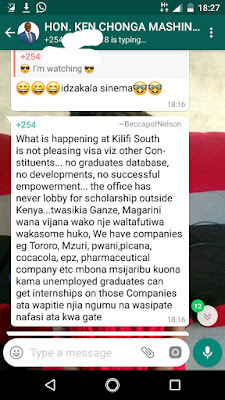 Some people claim that he stays in Nairobi most of the time. He is also unreachable and he developed pride. The residents said only the previous MPs did something tangible especially the former Bahari mp Joe Khamisi. The Leaked messages show how the desperate Kilifi South residents are yearning for developments. Bana Media tried to obtain more information from the MPs' office but all was in vain. The Mp and the CDF chairperson could not receive our calls.